IB Diploma: Can I Use it as an International Student? The IB (International Baccalaureate) was designed in Switzerland, and it is an internationally recognized diploma. The IBO issues the IB Diploma, and it is recognized by several colleges and universities worldwide, especially if you want to become an international student. However, not everyone who pursues an IB diploma will earn it. For you to receive your IB diploma, you have to enroll in an IB approved school and meet all other requirements, including taking all the six subjects, passing the exams, and successfully complete the three additional key requirements. Excellent universities know that IB programs can be demanding and they prepare international students for their undergraduate studies. According to a study that was conducted by the IB foundation, the results indicated that IB students are more likely to perform better in their undergraduate studies. What’s more, with an IB diploma, you won’t have to submit standardized test scores. Although most institutions are committed to holistic admissions, they tend to look for academically successful students with a positive attitude, aptitude, critical thinking, intellectual curiosity, and communication skills. There are several universities in the U.S. that offer scholarships only for IB diploma holders which can be beneficial to you as an international student. Additionally, if you’ve completed the IB program, you can qualify for scholarships not dedicated purely for IB diploma holders. For example, you can receive an international scholarship for your excellent secondary school qualification. If you’re interested in an IB-related scholarship, check the website of the university or college you’re interested in. Leading a normal life may eventually lead to normal adulthood. However, when you join high school for your IB diploma, you will learn to appreciate other cultures. This will go a long way in shaping your experiences in various ways, especially on your personal views on religion, tolerance, and friendship. Your appreciation for different cultures will help you as an international student to interact and learn about other cultures. Whether you’re confident enough or not to speak in front of other students in a class, your IB diploma will give you the courage to go beyond what you can and what you thought you couldn’t. An IB diploma won’t only make you a better student, but also a better person. IB classes help cultivate the urge to learn and this is something that won’t ever go away. In your IB class, you will be encouraged to ask questions, to inquire, and to doubt. It will also teach you how to learn, and this will be of great help to you throughout your studies and beyond. For you to become an international student without an IB diploma, you will have to take English as your second language tests like the TOEFL (Test of English as a Foreign Language) or the IELTS (International English Language Testing System). Additionally, you will also need to take the GRE (Graduate Record Examination) or the SAT (Scholastic Aptitude Test) exams. Keep in mind that you will have to complete these tests at least one year before you can get started as an international student. Be a leader: Most organizations that offer scholarships prefer students who invest in their leadership skills. This means that you have to be a good communicator, listener, and a team player. Improve your writing skills: One of the crucial factors that will influence a scholarship committee to award you with a scholarship is writing an excellent scholarship essay. Ensure that your essay is objective and well-structured. Are you interested in studying aboard? 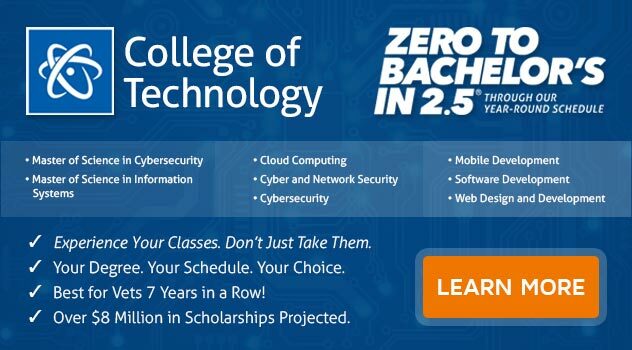 If you want to study technology, business, culinary arts, or more, consider ECPI University. For more information about their accelerated programs, connect with a friendly admissions advisor today.